While the Democratic establishment has filed suit against Wikileaks (which would have been like Richard Nixon suing The Washington Post during Watergate), Gabbard has defended Wikileaks. She has the courage which most politicians lack. Democrats Voting On Eliminating Superdelegates This Week–Will They Vote For Or Against Democracy? 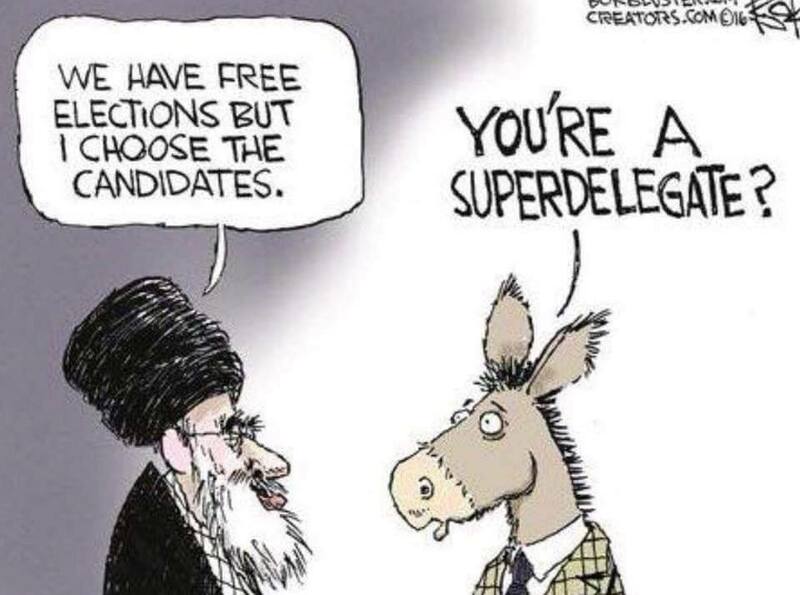 A political party which uses superdelegates should not be able to use Democratic in its name. This week we will see if the Democratic Party continues to oppose democracy as the DNC votes on a proposal to eliminate superdelegates at their meeting in Chicago. There have been proposals to eliminate superdelegates for years, including a recommendation by the Democratic Change Commission in 2009. More recently the Unity Commission recommended reducing the number of superdelegates. This has been expanded to a proposal which would remove the ability of superdelegates to vote for the presidential nominee on the first ballot, but they would still be able to vote on convention rules. In 2016, the DNC worked to clear the field for Hillary Clinton early in the race. When Bernie Sanders did subsequently attempt to run against her, he was faced with the news media broadcasting delegate counts showing him to be way behind before a single vote was cast, playing into Clinton’s strategy of inevitability. The proposal to prevent superdelegates from voting on the first ballot would make it much harder for a candidate with the support of superdelegates to take advantage of this, assuming recent trends hold and the nomination is decided on the first ballot. Of course many establishment Democrats oppose this threat to their power. Not unexpectedly, some even see this change as a Russian plot (demonstrating one of many reasons why we desperately need new leadership in the Democratic Party). But it’s less well known today that much of the mayhem in the streets and the angry dissent inside the amphitheater a half-century ago stemmed from the well-grounded belief that the Democratic establishment had rigged the nominating process for its candidate, Vice President Hubert Humphrey. Many of the delegates for the two antiwar contenders at the convention, Sens. Eugene McCarthy and George McGovern, were incensed at the party’s disregard for the will of the voters. About 70 percent of the votes in the presidential primaries had gone to antiwar candidates, including Sen. Robert Kennedy, who was assassinated the night of his election victory in the California primary in early June. Yet the party conferred its nomination on Humphrey, a supporter of the still-escalating Vietnam War who had stayed out of the primaries ― but still ended up with more than two-thirds of the delegates at the national convention. The undemocratic process deepened the divisions inside the party and weakened public support for its ticket, aiding Richard Nixon’s narrow victory in the November 1968 election. In other words, the Democratic establishment candidate lost in both 1968 and 2016 due to rigging the nomination for unpopular candidates as opposed to giving the nomination to the types of candidate who could win in fair primary system. Eliminating superdelegates is an important step towards supporting democracy, but just one of many important steps. We also need to have the Democrats eliminate their other rules which help them rig their nominations, including front-loading primaries in southern states, and changing fund-raising rules and the debate schedule as in 2016. In 2017, a group of House Democrats, led by Virginia Rep. Don Beyer, introduced H.R. 3057, the Fair Representation Act, which would require every congressional district in America to use ranked-choice voting. It would also require districts to be redrawn by independent redistricting committees, which would diminish the effects of partisan gerrymandering, and it would require the installation of multimember districts — a reform that would allow voters in each district to elect multiple lawmakers instead of just one, so that more people would be represented. …advocates of ranked-choice voting raised the benefits of alternative voting schemes when, after Michigan’s recent governor’s race, the results suggested that if the third place candidate, who branded himself as a progressive, had been reallocated in a ranked-choice system, Abdul El-Sayed, a genuine progressive, might have come within arm’s reach of winning. Europe provides several examples of other voting alternatives. French President Emmanuel Macron, for instance, ran on introducing greater proportional representation in the French legislature, and is slowly making good on that promise. Under proportional representation, parties are allotted seats based on the total percentage of the vote they get. Under that system, if Democrats were to receive 51 percent of the vote, Republicans 44 percent, and Greens 5 percent, they’d each get that percentage of seats in Congress. Proportional representation is how elections are run in countries like Sweden, Germany, and Israel. It’s no surprise that legislatures in these countries often have seven or eight different political parties with significant clout, which then work together in coalitions on legislation, offering far more choices to voters. By contrast, American political parties tend not to offer third-party voters any sort of election reform plans — even to win over their votes. Ideally, if we are successful in reducing the influence of superdelegates, the long-term goal should be to both totally eliminate superdelegates and to institute these other reforms. Donald Trump’s tweets are increasingly looking like a modern day version of Richard Nixon talking to the pictures on the wall at the White House in his final days in office. While hardly the only major revelations from the publication of Fire and Fury, the book has increased public questions of Donald Trump’s state of mind. 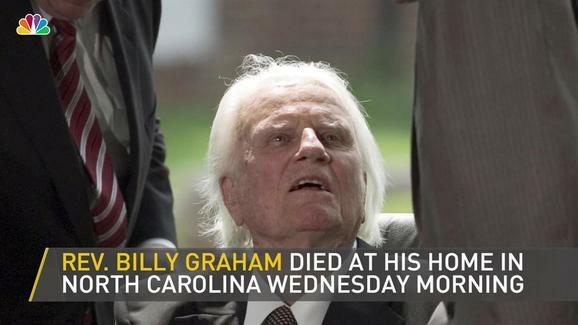 His sanity had already been in question, with psychiatrists openly questioning it. Some of the descriptions of Trump in Wolff’s book are also consistent with questions which I and many others have had as to his mental status. Trump’s tweets only serve to give further reason to question his cognitive abilities. “Everybody was painfully aware of the increasing pace of his [Trump’s] repetitions,” Wolff wrote. This has increased interest in the 25th Amendment, which provides a mechanism for removing a president based upon mental incapacity, especially in light of his recent tweet bragging about the size of his nuclear button. 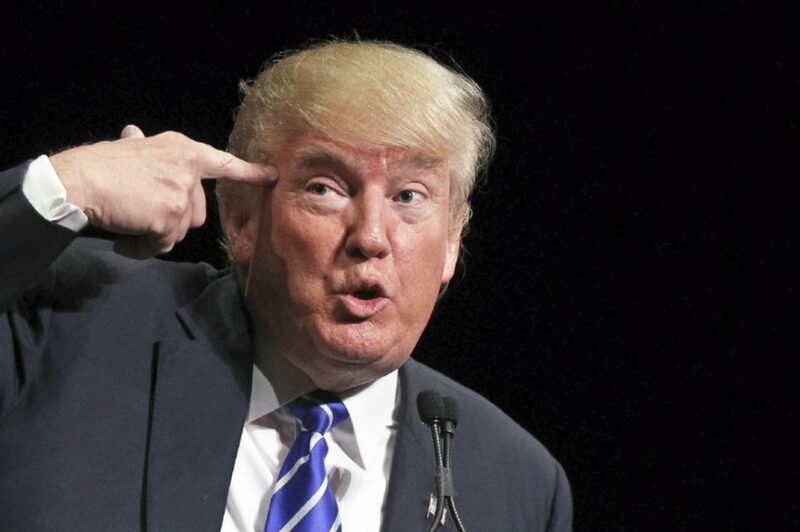 As I have not examined Donald Trump, I certainly cannot make a definite diagnosis of dementia, but in the nuclear age it is clear that some mechanism needs to be in place to have a president examined when he shows such alarming signs of dementia and mental instability. This sounds a lot like Richard Nixon’s defense that he had no prior knowledge of the Watergate break-in, while ignoring all the crimes he was shown to be guilty of. From the evidence released so far, he very well could be telling the truth about not colluding with Russia to alter the election, but that ignores the facts that he (or least his son and son-in-law) were both eager to attempt this, as well as the evidence of financial crimes such as money laundering and evidence of obstruction of justice. The claim that Russia altered the election result increasingly looks like a fabrication by Democrats, with no evidence to support this, but this does not mean that the questions of his mental stability are not true. The claim that Trump had no ties with Russia (such as money laundering) is a lie spread by Trump and his remaining allies, making his denials of collusion alone only sound Nixonian. 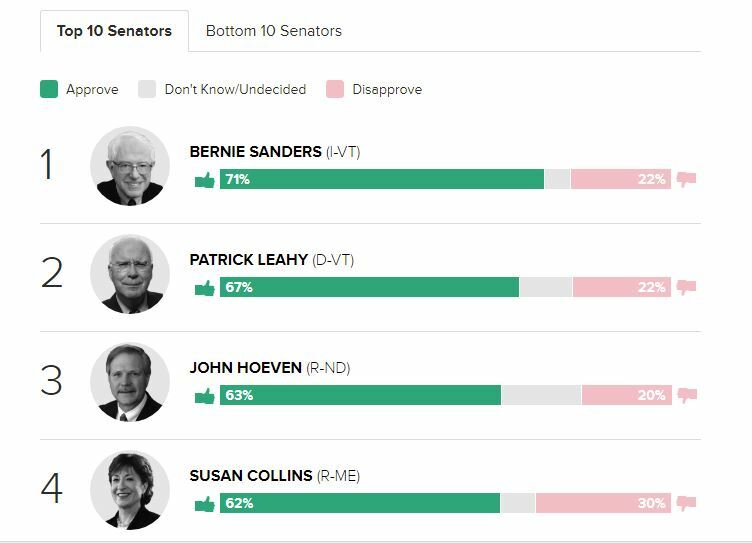 Bernie Sanders remains the most popular Senator in America in the latest Morning Consult poll. Mitch McConnell ranks at the bottom. In one of the worst acts of political malpractice in American history, the Democratic Party passed up the chance to have Bernie Sanders as its nominee, which would have most likely delivered not only the White House, but also the Senate to the Democrats. Instead of nominating a popular and trusted Senator such as Bernie Sanders, the Democratic leadership decided to use its rules to tilt the nomination towards the unpopular and widely distrusted Hillary Clinton. While Bernie Sanders offered the Democrats a nominee who could excite voters and bring in Republican and independent votes, Clinton polled poorly in the battleground states, among independents, among young voters, and among liberal voters. While Sanders offered a return to more traditional Democratic values, Clinton provided the Democrats with a nominee who backed the neoconservative agenda of George W. Bush and had the ethics of Richard Nixon. Nominating Clinton in the midst of a major political scandal would have been like the Republicans nominating Nixon if the Watergate scandal had already broken. Thanks to the foolishness and dishonesty of the Democratic leadership, we are now stuck with Donald Trump in the White House and a Republican controlled Senate. It Is Mueller Time: Who Will Be Indicted And What Are The Charges? The first obvious question is who will be charged. Paul Manafort, Michael Flynn, and Carter Page lead the lists in speculation. 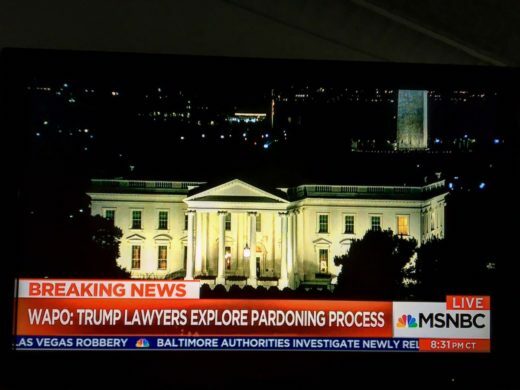 I don’t think anyone will be surprised if one or more of them are indicted next week. There will be greater surprise if Jared Kushner, Donald Trump, Jr., or perhaps even a Democrat is indicted now that we have learned that the Podesta Group is also under investigation. The next question is what the actual charges will be. From what has been released to the public so far, we have see much more evidence of a cover-up and obstruction of justice than we have seen of the original crimes. 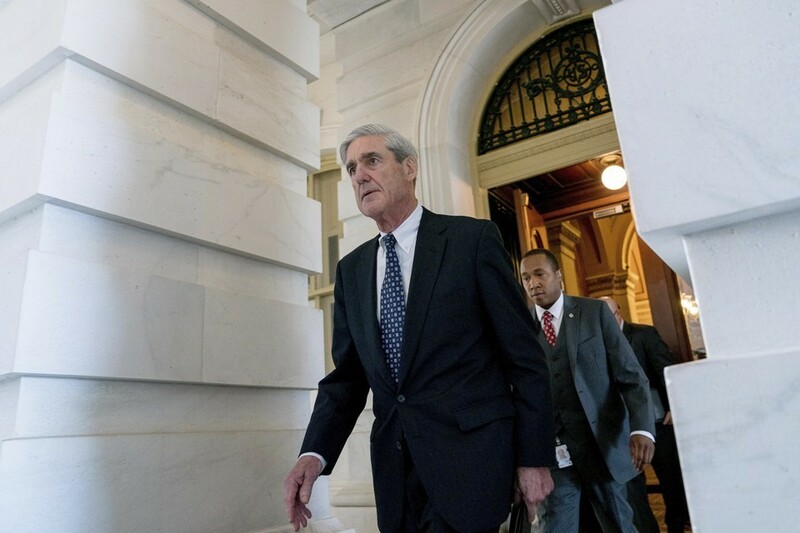 There have been indications that Mueller is conducting the investigation more as would be expected if the concentration is on financial crimes including money laundering. 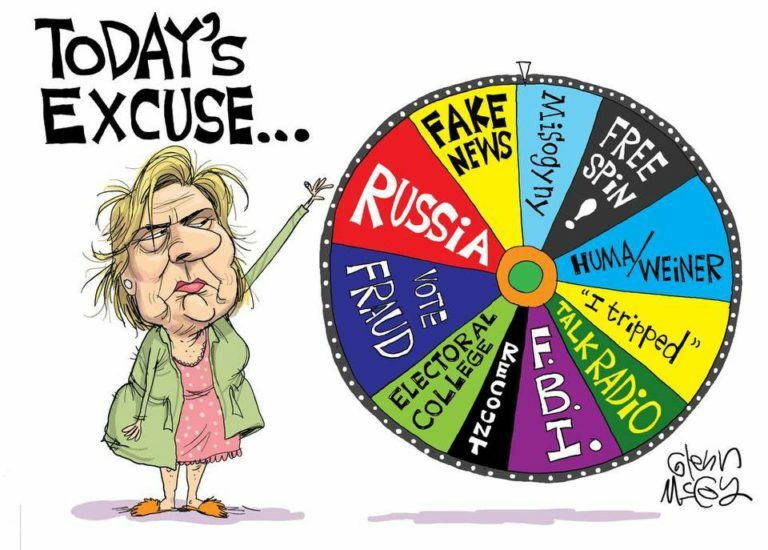 The evidence released to date for collusion leading to an actual change in the presidential election result looks quite weak–with indications that this was more an excuse from Hillary Clinton to deflect blame for her own mistakes which caused her to lose. The stronger case for any sort of collusion between the Trump campaign and Russia might involve Paul Manafort who allegedly offered to give a Russian billionaire private briefings on the campaign. However there is no evidence that such briefings took place and past speculation has also primarily been on an indictment for financial crimes such as money laundering or tax evasion. There is also the meeting which both Donald Trump, Jr. and Kared Kushner attended with Russians, which they were lured to attend with promises of information on Hillary Clinton. 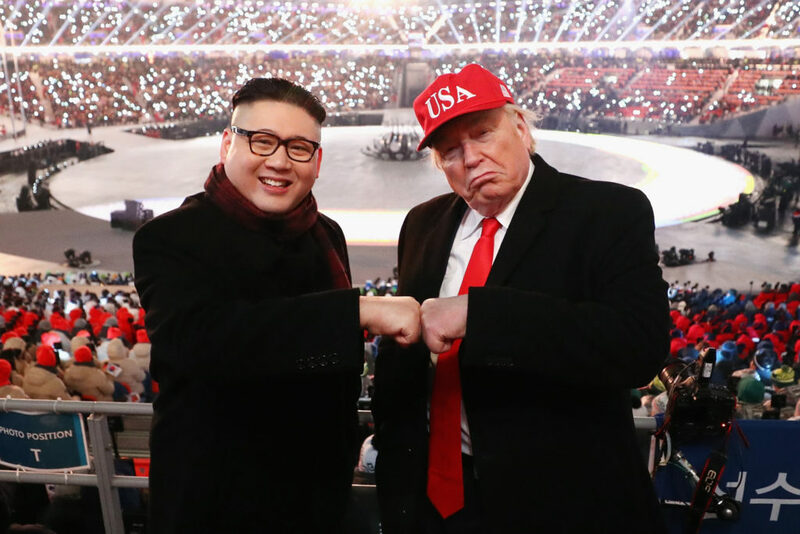 However it appears that was only to get them to attend with the Russians reportedly having nothing to offer. While it indicates a willingness on their part to collude with Russia, there is no evidence that such collusion actually occurred. 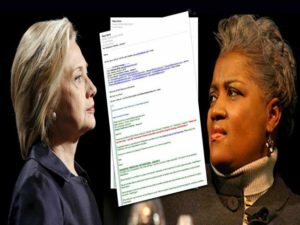 There very well could be legal violations in their actions, but this falls far short of Clinton’s claims of Trump and Russia working together to alter the election results. Whatever indictments are issued, this means that the matter moves from a primarily political fight to a legal battle where rules of evidence prevail and Donald Trump’s cries of a witch hunt are even more meaningless. As occurred with Watergate, early indictments might lead to deals which ultimately result in evidence against those higher up. Also as with Watergate, a big question will be what did the president know and when did he know it.